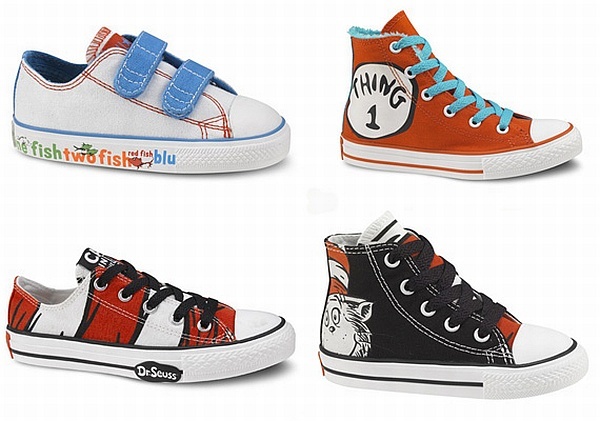 Streuth, Converse does Dr Seuss! Surely everyone of a certain age has had a pair of Converse at some point in their life? I got my first pair at fifteen and wore them until my mum had enough of me putting them in the washing machine. I now have a silver pair but am yet to get a pair for my daughter… until I saw these. 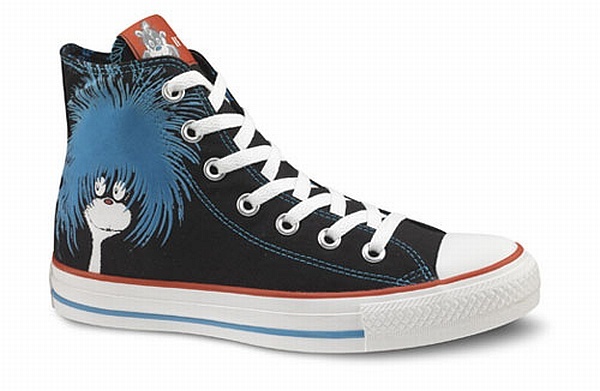 Yes, iconic footwear brand Converse has just launched this great new Dr Seuss range. Your child knows all about The Cat in the Hat, Thing One and Thing Two, and now they can wear them to play. I just love these – colourful, comfortable, unique and way too cool for school! Choose from a selection featuring the iconic Dr Suess’ fantastic children’s book characters including of course, the Cat, but also The Lorax and Fish One, Fish Two. Available for kids from one to twelve, and they have adult sizes too. Prices start at US$35 for the little sizes, up to US$65 for the grown-ups. These haven’t arrived in Australia so you will need a reshipper as Converse in the States don’t post internationally.